Construction Cleaning Crew helps keep building projects safe and moving forward by progressively cleaning-up after subcontractors. Their final 'powder puff' clean is the finishing touch to compete any construction project and make the space 'move-in ready'. 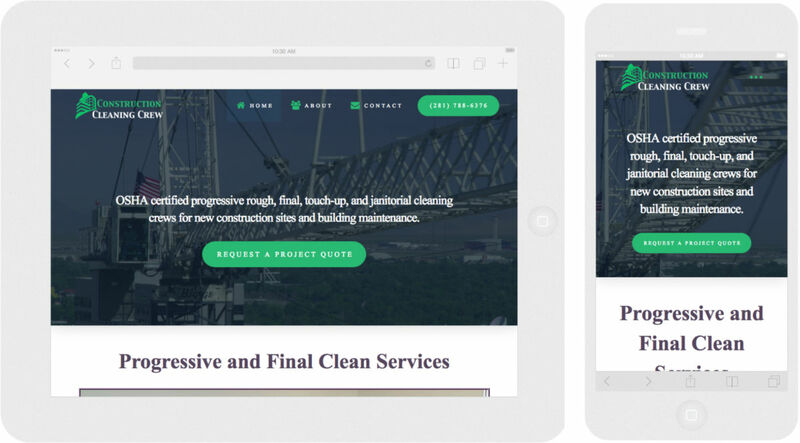 Constructioncleaningcrew.com was designed to speak to contractors. Chances are they are viewing the site using a phone, and they aren't into reading long paragraphs of flowery language describing services. Less than 300 words were used to convey Construction Cleaning Crew's offerings.